Reflective Automaton has all creature types. 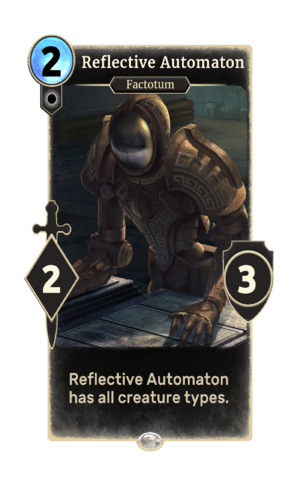 Reflective Automaton is a common Neutral creature card. It is part of the Clockwork City story set.